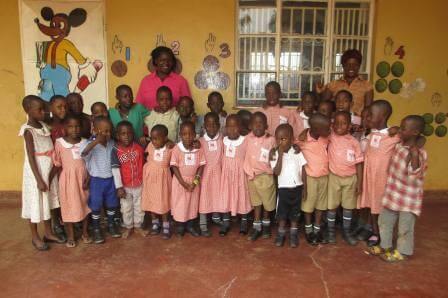 Working with UK and Ugandan partners, DeafReach is supporting a major pre-school programme in Uganda. Pre-school support for all deaf children is vital to enable the child to begin to develop the language and communication skills that are relevant to their hearing loss and situation. Deaf children cannot automatically pick up language as hearing children do by simple listening. When hearing children start school, they have already developed a very sophisticated level of communication using hearing and speech, and this is a springboard on which all other learning is based. Deaf children need specialised, intensive and individual plans to help them build alternative means of communication. For many years in the UK deaf children were admitted to school a year ahead of their hearing peers for just this reason. DeafReach has recognised this and so funding pre-school services is a priority for us. In Africa, one has to remember that the term pre-school actually means a period of preparation before school entry and does not refer to the age of the child but rather to their academic level. 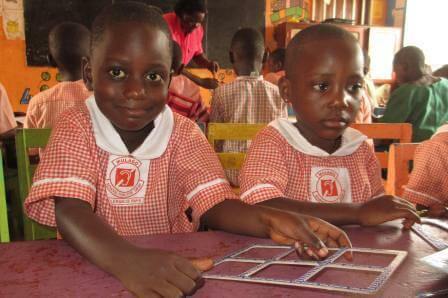 Until their deafness has been diagnosed, many deaf children in Africa are not able to enter school. Thus a deaf child of 10 who has never been to school can be regarded as suitable for a pre-school programme. This programme will enable the child to develop communication systems to a standard necessary for learning to take place in the classroom. DeafReach’s support covers the full costs of 2 classes in deaf schools in Kampala and learning and play materials in 10 other schools across the country. The total number of children being supported through this programme is 137, all of whom are between 3 and 6 years of age. As a result of this and campaigning efforts by a range of individuals and organisations, the Uganda Government has recognised the crucial value of this work and has issued directives that schools must initiate pre-school classes by 2018. Our partners in Uganda are working hard to ensure that action is taken and that deaf education, indeed all special needs education, receives the attention and funding it needs. We plan to continue our support until the Government programme is in place.